From estimating to invoicing, the WrightPlan software does it all for your construction services company. While most of your technical questions will be answered by scheduling a demo, see below for our most frequently asked questions (FAQS). Book a demonstration and we can answer all of your inquiries. If you have something more specific you don’t see here contact us! WrightPlan is tailored rather than customized. We have built WrightPlan specifically for crane & rigging, millwright, machinery moving and construction services companies. Thus, customization is rarely required. However, if companies want information portrayed in a certain way, we deliver this through custom web forms that can be formatted into a report if need be. Can I access WrightPlan on my phone? Absolutely! 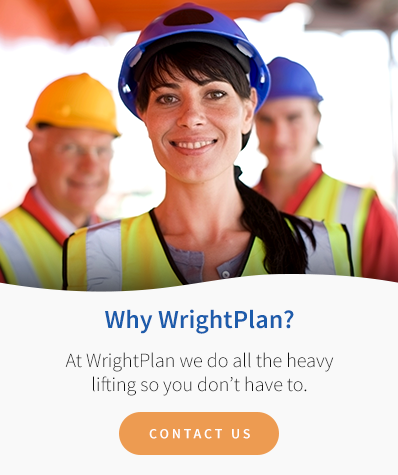 WrightPlan can be accessed on your phone, computer, and tablet. Do you have training to help me get started? Yes! We have a training program to help you learn the system. We recognize that most companies are extremely busy and their people don’t have time to spare to learn how to set up a system. That is why we developed a “Turn-Key” implementation approach. We are experts in your industry and know what you need to get results. We do all the heavy lifting, from uploading your data to tailoring our system specifically for you. Rather than teaching you how to set up the system, we teach how to use WrightPlan. The cost of the system is based on the modules you want and the number of licenses you have, which is usually determined by the number of users accessing WrightPlan. For example, if you have 10 users you will need 10 licenses (with the option to have shared licenses). We can help determine what you need and provide you with a quote after a qualifying session and web demonstration. Yes, you subscribe to WrightPlan and there is no software to download. Simply use your browser to gain access! Can I be logged in on more than one device? Yes! Many users have WrightPlan open on their phone all the time, and also log on from their laptops from home or at work. You can have multiple tabs and open in your browser, too. Does WrightPlan have an app? Yes! Although you don’t need the app to access the CRM functions of WrightPlan, there is an app for field reporting issues such as timesheets, equipment checklists, pre-task planning forms, and more. Can I look at the schedule on my phone? Yes! Review the schedule from your phone while on the road so you always know how much work you have on the go, and whether you can take on more, while you’re at the customer’s site. Can I quote from my phone? Yes! Our new quoting module formats perfectly on your mobile device. Can I drag and drop jobs to reschedule them? Yes! Use the drag and drop features in the schedule to assign labor and equipment to jobs, and make changes between jobs.